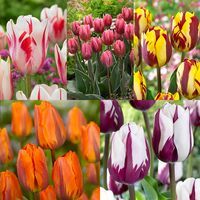 Originating back to the time of Rembrandt, when Tulips were first introduced to Holland, Rembrandt Tulips are a combination of colours used to create a flamed effect that will delight almost like a flicker of a rainbow. 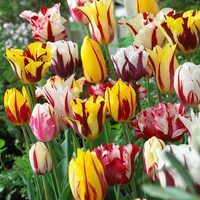 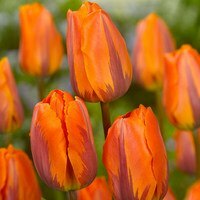 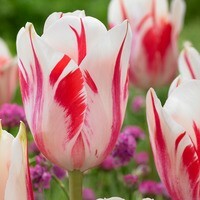 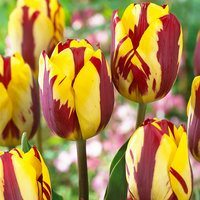 Modern Rembrandt Tulips bulbs are 100% virus free and produce streaky bi-coloured blooms from May onwards. 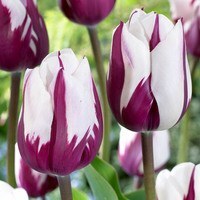 Height 50cm. 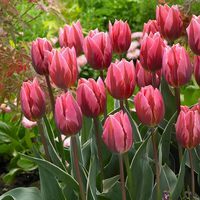 Supplied as top quality 11/12cm circumference bulbs unless indicated otherwise.